Walden Pond Press, 9780062443410, 288pp. A National Book Award Longlist title! 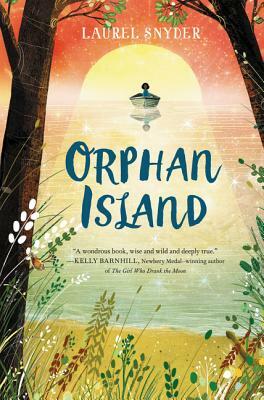 In the tradition of modern-day classics like Sara Pennypacker's Pax and Lois Lowry's The Giver comes a deep, compelling, heartbreaking, and completely one-of-a-kind novel about nine children who live on a mysterious island. On the island, everything is perfect. The sun rises in a sky filled with dancing shapes; the wind, water, and trees shelter and protect those who live there; when the nine children go to sleep in their cabins, it is with full stomachs and joy in their hearts. And only one thing ever changes: on that day, each year, when a boat appears from the mist upon the ocean carrying one young child to join them—and taking the eldest one away, never to be seen again. Today’s Changing is no different. The boat arrives, taking away Jinny’s best friend, Deen, replacing him with a new little girl named Ess, and leaving Jinny as the new Elder. Jinny knows her responsibility now—to teach Ess everything she needs to know about the island, to keep things as they’ve always been. But will she be ready for the inevitable day when the boat will come back—and take her away forever from the only home she’s known? "A unique and compelling story about nine children who live with no adults on a mysterious island. Anyone who has ever been scared of leaving their family will love this book" (from the Brightly.com review, which named Orphan Island a best book of 2017). Laurel Snyder is the author of picture books and novels for children, including National Book Award nominee Orphan Island and the Theodor Seuss Geisel Award winner Charlie & Mouse. A graduate of the Iowa Writers’ Workshop, she currently teaches in Hamline University’s MFA in Writing for Children and Young Adults program. She lives in Atlanta with her family and can be found online at www.laurelsnyder.com. This charming, engrossing tale set in a vividly realized world is expertly paced and will appeal to fans of wilderness adventure stories and character-driven relationship novels alike.